A US-based capital financing provider wanted to transform IBM i to Web Modernization. The client had a challenge due to unattractive screens and difficult navigation. 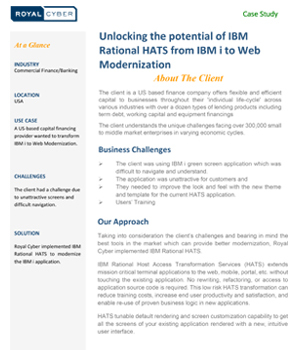 Royal Cyber implemented IBM Rational HATS to modernize the IBM i application.